When you and your Infiniti have been in an accident or a collision in Mesa, you want a body shop in Mesa Arizona that not only makes your car look good, but makes it as safe as the day it rolled out of the factory. In order to get the best collision repair experience for you and your car, you need to work with a Mesa collision and glass repair shop that is factory certified. Excel Collision and Glass Centers is that body shop. We have been repairing Infiniti body and glass damage for years and are proud of our excellent repair and customer service. When you have been in a collision, no matter if it was a minor fender bender or serious accident, you need to work with a collision center you trust. It is as easy as that. After all, every day you put your life in the hands of the technician who has repaired your Infiniti. A poor repair job can impact that health of your car’s structure, weaken its body and cause bigger issues the next time you are in even the smallest collision. As the car industry keeps revolutionizing itself with new products, component parts and electronic components, it is essential that the collision repair industry keeps up with it. Excel Collision’s body repair technicians work tirelessly to be up to date on current developments, the latest and most effective repair techniques and certification standards. At our Mesa collision repair center, we have a clean room that allows us to repair aluminum components of cars without the risk of cross contamination. As aluminum is a metal that is highly susceptible to cross contamination, this is tremendously important. By working with a certified Mesa Infiniti collision shop, you ensure that no warranties are voided and that you get the best service possible. Whenever you are in an accident with your Infiniti vehicle, you can take it to any of our convenient Mesa locations for a complete damage inspection by our skilled mechanics. Regardless of the insurance company you work with, there is no reason not to go with us since we work with every one of them. Excel Collision Center is Infiniti Certified, meaning that our mechanics are more than capable of restoring your car to a perfect condition while making it more durable with our original manufacturer parts. With our Infiniti certification, we have years of experience in collision repair for any existing car model from Infiniti. Our mechanics have the expertise required to diagnose and fix any collision damage with accuracy. Regardless of the vehicle’s model, we can return it to a perfect condition, like it was just out of the factory. We are the Infiniti collision repair company that offers high-quality repairs at affordable prices, making us the best option in Mesa. Excel Collision Centers has the best dent removal and repair in Mesa. Our mechanics have the determination to do a high-quality dent repair that amazes our customers, making us stay as the top dent removal and repair company. Every dent removal and repair operation we do to our Infiniti vehicle customers are affordable, efficient, and professional. Our positive reviews in Google, Yelp, and A+ with the Better Business Bureau shows our dedication in satisfying all our customers. After you have been in an accident, you may have a lot on your mind. You will have to contact your insurance, decide on which repairs need to be done, take care of yourself and so on. Working with an Infiniti approved body shop, such as Excel Collision, can make the process so much easier. For one, you can be sure that you get quality repair and top parts. Don’t believe an insurance agent who claims that you have to pick a collision shop of their choosing. 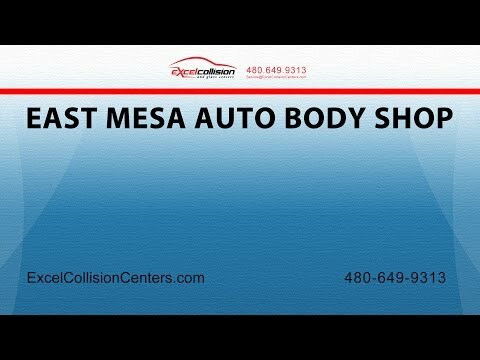 Insist on taking your car to a certified Mesa Infiniti body shop. Excel Collision will even deal with your car insurance company for you. It doesn’t get much easier than that. We have several convenient locations, loaner cars and update our clients with progress images of their vehicle via text or email. Excel puts you first. If you have been in a collision, accident, or need collision repair work done for any other reason, contact Excel Collision and Glass Centers today. We are certified by a wide range of car manufacturers. Accidents happen, poor car repair shouldn’t. Let us make your Infiniti as safe as it can be. "His crew did great work, If I need auto body work done again I will be going to them." "We were pleased with the work and the price. It was done in a timely manner."